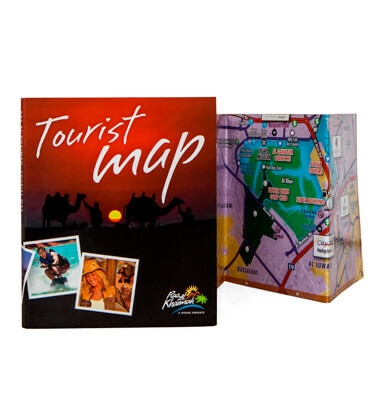 Explorer’s award-winning cartographers and designers produced a compact and essential map of Ras Al Khaimah to attract more tourists to this fascinating emirate. The map was small yet indispensable, covering the emirate’s roads, street names, heritage sites, attractions, entertainment areas as well as new developments. Using satellite imagery, definitive icons and bold keys, it also pinpointed RAK’s hospitals, parks, hotels and beaches. Tailored to meet the tourist board’s specifications, this mini marvel reveals Ras Al Khaimah like never before.